Taking the right steps, running a business, really can be something of an art form. It’s also quite rewarding when you find that you are making profits while keeping your expenses under tight control. You’ll find that you can easily stretch your income to brilliant new levels and achieve a brand new lifestyle all while working from home often in your spare time. But how do you do it? Well, we can look at running your own e-commerce company. Now you can set up your own site to do this, but that takes far more time and effort. It’s far better to use an existing platform and essentially piggyback off it. That’s what we suggest, and our choice of platform would be eBay. 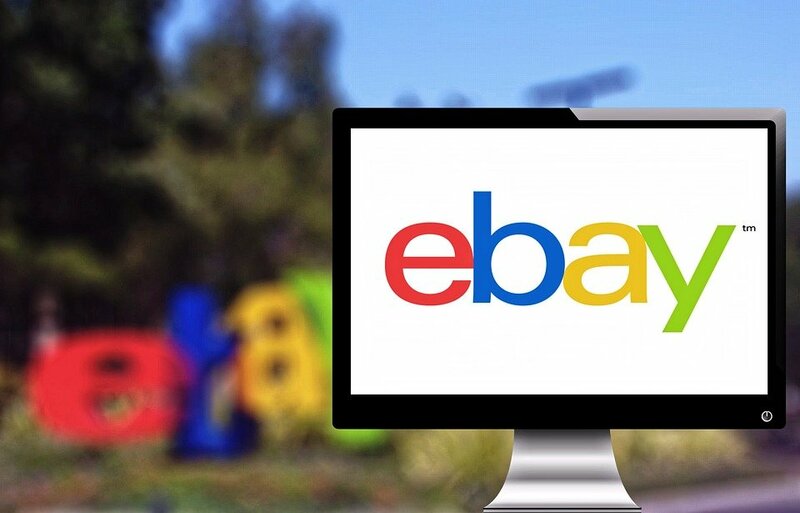 On this post, we’re going to look at how to use eBay to make all your e-commerce dreams come true. The most successful sellers on eBay are like any business owner. They form a relationship with their customer. They make sure that they feel connected to this brand and this keeps them buying, earning them the useful and valuable repeat service. You do need this if you are going to maintain profitability. To do that, you need to build up your business brand and make it personal. A recent report revealed that customers are more than eighty percent more likely to click on the site if it has a face picture of the owner. As such, you do want to have a face picture on your eBay shop profile page. You also want a brief bio for you and your business. This doesn’t have to be an essay, but it does need to connect with your audience in some way. For instance, you might sell baby clothes, and if that’s the case, you can say you started the site because you couldn’t find any baby clothes at reasonable prices when you had your first baby. Of course, one of the biggest issues is actually handling the costs of your online store. You need to make sure that the amount you charge for products does leave a profit when costs are taken into consideration. The biggest cost is going to be deliveries. To make sure your deliveries are under complete control, we suggest using a service like Shiply. Companies like this have more info on site pages like https://www.shiply.com/ebay-couriers-delivery-services.php. With Shiply, you’ll be able to find the best service for deliveries that matches your budget. That way, getting your products to customers won’t eat away at your profits. On eBay, you do have what is basically a trust rating. It tells buyers that other users like your business and trust it to make purchases. If they do, then you won’t have to worry about customers avoiding your store completely. To build trust immediately, buy some products from bigger stores. These cheap products will immediately earn you points, and you can build up your profile quickly by doing this. It allows you to avoid simply hoping that word of mouth will spread. Once you actually start selling, you can maintain trust by always being polite and following that one simple business rule: the customer is always right. You can find more basic rules of business on http://www.brcommunity.com/articles.php. We hope you find this advice useful and find great success running your own shop on eBay. Dale Pinnock’s popular ITV series, Eat, Shop Save has just wrapped up filming on a second series. The first series proved popular with viewers, offering a whole range of tips and tricks to help us ordinary Brits save some cash. On the show, Dale, a chef by trade, takes on the role of a food adviser. He shares tips for cooking and shopping and recipes to make our lives easier. In the first series he shared tips for persuading fussy eaters to eat more nutritional food (by concealing vegetables in blended sauces), creating cheap and healthy homemade takeaways to help households kick the Friday night habit and batch cooking to help stretch time and energy further. The show sees a team of experts visit a household that needs to make some changes. They help families to achieve their health, wealth and happiness goals by saving money, losing excess weight, shopping more savvily, cooking from scratch and running more efficient households. By taking small, achievable steps, each family from the first series was able to utilize the tips and tricks the experts shared to make sure they had more quality time to spend together as a family. Dale Pinnock has plenty of expertise when it comes to food; he’s a trained nutritionist who specializes in healthy eating. A star TV chef, he’s also got several books under his belt, including The Medicinal Chef amongst others. Dale has become a popular celebrity chef for all sorts of clients, from promotional events to corporate dinners and everything in between. If you’d like to book Dale Pinnock to demonstrate recipes, give a talk or sign books at an event you’ve organized, just get in touch with his booking agent at MN2S talent agency. Sure, just like their four wheeled counterparts, motorcycles see a lot of fluctuation in price. A brand new Harley is always going to cost a lot more than a 3 year old Honda in the same way that a brand new Mercedes is always going to represent a bigger investment than a 3 year old Chevy. Nonetheless, a popular sport bike represents a fraction of the cost of a popular car. Only the most fuel efficient cars are able to get 30 miles to the gallon, but for a motorcyclist 30mpg represents a total gas guzzler. It’s not only fuel costs where motorcyclists save, either. Motorbikes are cheaper to insure, cheaper to service, the parts are cheaper ands with a little knowhow you can carry out most of the maintenance yourself. If you don’t need to take a large family with you every time you hit the road, a motorcycle is certainly the better choice for the budget conscious motorist. Admittedly, in the event of an accident a car will offer you more protection than your trusty steed. But if you ride a motorbike you’re far less likely to have an accident in the first place. Plus, if the worst should happen, you’ll know that a specialist motorcycle accident lawyer will be there to fight your corner. Motorcyclists are more agile and better positioned to react to hazards with better perception and an unimpeded view of the road. A motorcycle’s more compact size makes it much more able to weave between hazards or find a safe space of road even when travelling at high speeds. While certain models of cars have their fandoms, motorcyclists represent a much larger and more welcoming community. Most of the time motorcyclists have a lot of time for other motorcyclists either online or in meat space, always on hand to offer help, advice or just an opportunity to talk shop. There’s no feeling quite like hurtling along an open stretch of road on your motorbike as the sun sets around you. It offers a feeling of freedom that even driving with the top down doesn’t quite match. Moreover, motorcyclists have much more freedom of movement on the road and aren’t nearly as plagued by parking trouble as car drivers. If you’re looking for a more budget friendly, safer and more enjoyable experience on the road, motorbikes really are the way to go! Budgeting is one of the basic steps towards actively managing your finances. Since a lot of individuals tend to associate budgets with uncomfortable restrictions and a few hassles here and there, the mere thought of this word makes them nervous. There are also others who view their financial situation as an excuse to neglect budgets. Despite all these perceptions and excuses, the truth is that a budget is an effective tool that will surely help you improve the quality of your life. Besides, there are tons of reasons why you should develop a strong budgeting habit. Today, Americans are spending more money than they have thanks to a wide availability of credit cards. When you look at the situation closely, you’ll quickly notice that average household debt on credit cards is almost $10,000. When credit cards were not easy to come by, you would track your expenses by simply looking at what you have left at the end of the month. If you were overspending, you would notice the sign early enough. But when credit cards came into play, people who are addicted to spending sprees seem oblivious of their habits until they are deep into debt. The good thing about having a budget that you can stick to is that you’ll not get into this tricky situation. 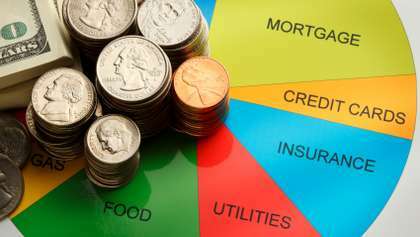 Basically, you will always be aware of your overall income and determine the exact amount you can safely spend on a monthly basis as well as grow your savings account. It’s true that keeping tabs on your expenditures isn’t as enjoyable as impulse spending but the rewards are quite attractive. Instead of having a stressful talk with a credit counselor in a few years from now, you could be holding the keys to your dream home if you are willing to govern your finances. When it’s done right, a budget becomes a personal tool that revolves around expenditure priorities. As such, it can help you make progress towards any financial goal. When you keep on purchasing anything that grabs your attention, it might be very difficult to set aside sufficient money to acquire a home or a car. Budgets make it easy to focus on important goals and start saving towards their attainment while at the same time providing a way of tracking how you are faring along the way. Of course, sometimes you’ll feel bad when you find out that your current plan won’t allow you have the new boots you saw at the store, but you must remember that you are working towards a greater goal here. While life is teeming with amazing surprises, some can be very disheartening. For instance, a job loss or medical emergencies can demand a lot of cash. More often than not, emergency situations tend to creep on you when you are least prepared to handle them. As such, the best way to arm yourself is by having a good safety net ready for any event. In your budget, ensure you have a provision for some emergency savings that can help you survive at least 6 months in the event where your income has been compromised. With this precaution set, you won’t have to rush for a loan when a need for quick cash come calling. The truth is that you will have to be disciplined to save the required money but this doesn’t mean you should focus entirely on the fund and neglect other obligations. If you can make small and manageable contributions towards the safety net, you’ll soon have a full basket. Have you ever reached a point where you start feeling that you’ve lost the grip on your money? A budget can reinstate you right back at the helm of the throne! When you start tracking all your expenses and identify the necessary adjustments, you have already made the baby steps. Because the plan is quite easy and straightforward to stick to, you can decide how your future will look like. Since you are in charge of deciding the exact amount you will spend on a specific category, you don’t have to completely eliminate fun and entertainment activities. However, you must ensure there will be money to meet important obligations like savings. The most important thing is strictly observing the predetermined limits at all times. Every time you spend more than you can afford, you are welcoming debt into your life. Besides keeping debt at bay, budgets can help you eliminate all the existing debts you may be holding. While there are tons of options to get personal loans like nation21loans.com, you need to have a good credit score in order to get a good loan. This can be accomplished with an applicable budget to help you make regular payments towards the debts. The good thing is that some lenders can help you consolidate the various debts and even negotiate better terms which save you money. While few people celebrate budgets in their life, they hold a high place when it comes to effective personal finance management. However, you need to remember that each person creates a budget depending on their lifestyle and income. Most importantly, your goals should inform the budget-making process since it's a tool to help you make tangible progress. I love reading books on healthy living, health, foods that are good for us and the why of it all. Well, let me just say it has not disappointed and I have not been able to put the book down. 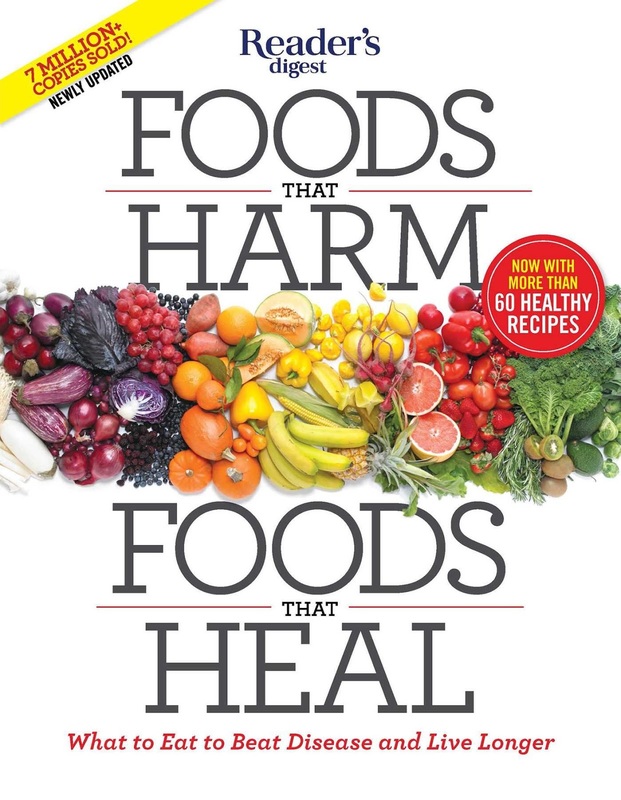 Foods That Harm, Foods That Heal: what to Eat to Beat Disease and Live Longer (Reader’s Digest, on sale now) has a variety of tips to help lose weight, overcome disease and ailments, and become your healthiest, strongest self. 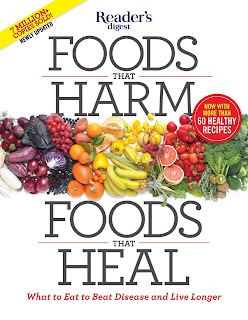 *Special features on the potential dangers of pesticides, food additives, and genetically modified crops; the many benefits of vitamin D; the real deal on high-fructose corn syrup; the dangers of mixing food and medicine; and much more..
**Fran Berkoff, RD and Joe Schwarcz, PhD were both consultants for the book. In case you missed it, yesterday was Earth Day! 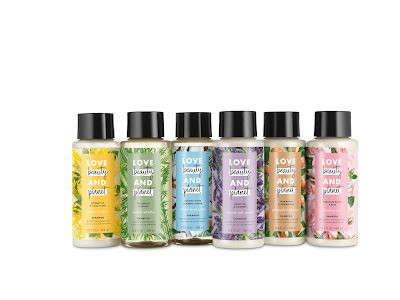 And while the folks at Love Beauty and Planet believe Earth Day is every day, we’re encouraging everyone to celebrate all month long by participating in #SmallActsOfLove that will help make the planet more beautiful. Unplug appliances when they aren’t being used - goodbye coffee maker! In case you haven’t heard of them, Love Beauty and Planet is a new personal care brand featuring six ranges of shampoos, conditioners, body washes and hair and body treatments that believes in the power of small acts of love that make you and the planet a little more beautiful every day. One of the many ways they are committed to this is through a partnership with The Recycling Partnership, which will help transform a US City’s recycling system – making it easier for more of its residents to recycle, and recycle well. * Contest Rules: NO PURCHASE NECESSARY. Void where prohibited. 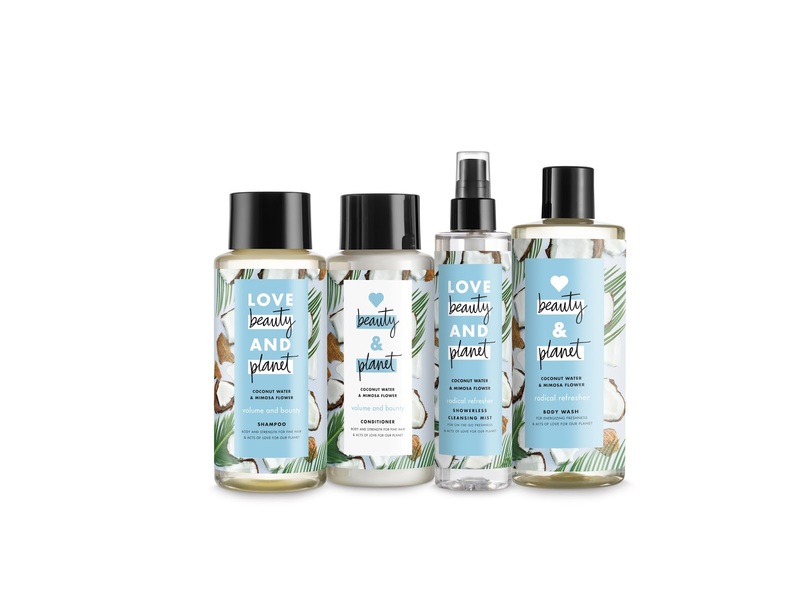 “Love Beauty and Planet’s Small Acts of Love” Contest is sponsored by Conopco, Inc., d/b/a Unilever. Open to legal residents of the 50 U.S. & D.C., 18 & older, who possess a web enabled mobile device as of 4/21/18. Begins 12:00 a.m. ET on 4/22/18 & ends 11:59 p.m. ET on 5/20/18. For official rules, visitsmallactsoflove.dja.com. We all want to be financially responsible, but sometimes it can feel like in order to save more money and live a thriftier lifestyle, we have to completely change the way we live. I’m, happy to tell you that really does not have to be the case and that there are lots of little, totally not dramatic, things that the average person can to save more money without really impacting their lifestyle much at all. There are numerous apps which are free (or very cheap) and which enable you to track your spending to a high degree. If you’re serious about saving money and becoming more financially savvy, the first thing you should do is download one of these - I recommend Mint- and start using it. Obviously, you have to actually monitor the data an act on it to see where savings can be made, and actually make them, if you want it to be any use, but do that, and you’ll be on the right track. If you haven’t already been living the frugal life for some time, chances are that you have a number of regular expenses that aren’t really necessary. For example, if you have a gym membership that you never use or a subscription to HBO Go that you never watch, you’re spending good money for no good reason. By eliminating them, you can save sometimes significant amounts of cash without it having any impact on your life whatsoever. It stands to reason that the more money you make, the more money you are able to save, so getting a better job can be a great way to boost your savings. If you are thinking that’s all well and good, but switching jobs is actually quite drastic, well it doesn’t have to be. For example, if you were to do a bsn to msn online, you could conceivably work in the same place, doing a very similar job, but for a higher salary - this is just one example of how changing jobs can benefit you without causing much upheaval to your life at all. If you don’t want to retrain or even seek a new role, it’s always worth asking for a raise if you’re in a position to do so.What’s the worst that could happen? So many people don’t realize that you can make significant savings by simply turning your thermostat down a couple of degrees, and the vast majority of people will not notice a difference at all. So, give it a try, and you could save a fair sum with literally no pain on your part. Sure, writing a grocery list might take a few more moments out of your day, but it will stop you from buying duplicates of food you already have and ensure that you spend your money on stuff you’re actually going to use. If you actually stick to it and avoid throwing in those extras that catch your eye every time at you’re at the store, well you’ll save even more money. It might be pretty good for your waistline too. Instead of buying books, borrow them from the library where they are completely free or buy them much more cheaply at the thrift store. You’ll still get the same level of enjoyment out of them without the hefty price tag, and it’s not just books either, you can check out DVDs, toys board games and a whole host of other entertainments at many libraries, and thrift stores are a veritable treasure trove for pretty much anything you can imagine. Credit cards can be really bad news if you get the wrong one or use them the wrong way, but if you get a cashback credit card and you use it to make all of your regular purchases, paying it off at the end of the month to avoid interest charges, you will save money on those everyday expenditures leaving you better off than you were - it’s a real no-brainer. As you can see, saving more money can be as easy as not trying to save money at all. More often than not, you will not notice many of the small changes that are necessary to boost your bank account and make your life more thrifty. You have nothing to lose, so what are you waiting for? Back Home- and Oh So Much To Do! We're back home from our 6 months away- coming home to a frozen water line- despite having the water shut off, so Gerry has been busy with that today. We've had the RV to unload, mail to sort through, taxes to get ready, ( have less than 2 weeks before the deadline), and so much more! We're doing our best but I HATE being unorganized and frazzled! Basically everything from RV had to come in, be cleaned, washed, put away- it's alot. Even Christmas and birthday gifts will have to be caught up on. We gave the neighbor his gift bag of goodies for looking after the place while we were gone, and he was telling Gerry he heard things will still be bad with the hospital and the doctor shortage here. Still 2 doctors only- despite them building a new multi million dollar hospital wing. It's just so unreal. He wanted to make a doctor appt and they told him he has to call back in two months to make an appt! I guess we'll all be self medicating in the meantime! The dentists are no better here- 2 months wait! So Gerry and I are glad we did ours while we were away. Even Jakey had dental in Vegas done for $200- nice cleaning, that would cost over $700 here! Wanted to share my expenses for the month of April while we were away and up until April 21. Since we traveled in Canada and the USA during this month, I have taken the US dollar amounts and converted to Canadian. 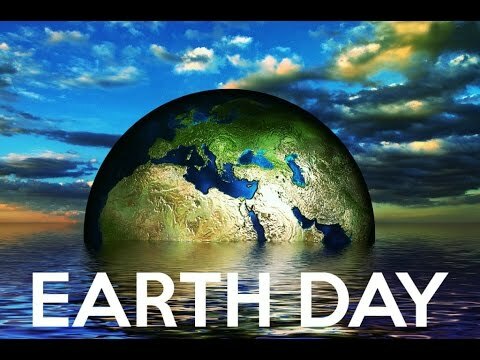 Today is Earth Day -April 22, 2016. 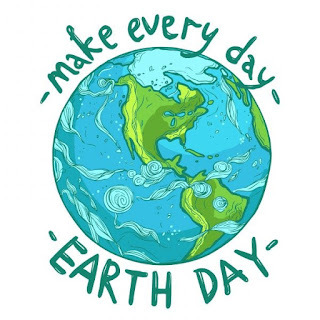 Earth Day and beyond, join a movement that continues to inspire, challenge ideas, ignite passion and motivate people to action. Everyone deserves to have fun with their friends or family every now and then. 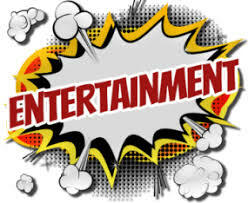 However, most entertainment ideas are quite expensive these days. Going to the cinema would not be that expensive if you did not have to purchase snacks and beverages before going in. Even though you could do that as an adult, if you have kids that is a real mission. At the same time, tickets to concerts, plays are just as expensive. Yet you could probably live without them. 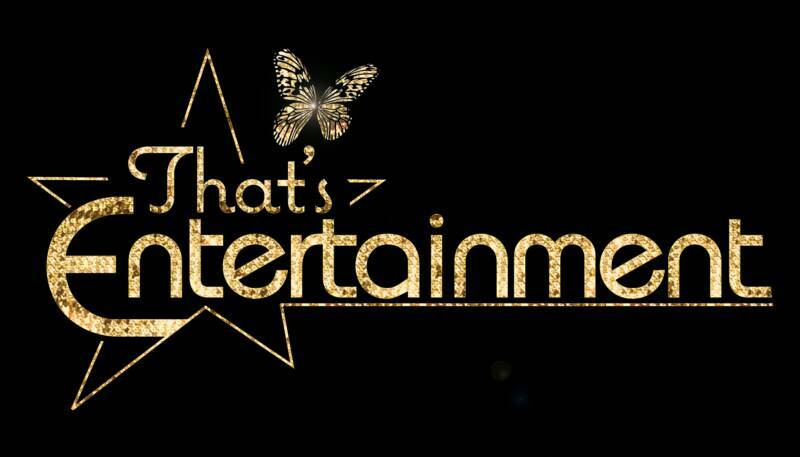 That does not mean that you need to live a boring, entertainment-free life – on the contrary. You can find a lot of great entertainment ideas that provide just as much fun and allow you to save some money when doing so. Below there are a few tips that teach you how to curb your entertainment spending without compromising your favorite activities. Take advantage of concerts in the park, street fairs or other free events that take place in your area. Often you can have a great time attending a concert in the local park and spend a limited amount of money. Families can visit museums, zoos or aquariums by learning when these venues offer free-entry days. Next time you plan a dinner out, look for restaurants that offer free concerts or comedy shows. Pub quizzes are just as fun if you plan on going on with a couple of friends. You can cut costs on entertainment by asking about discounts. 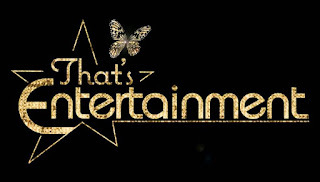 Most entertainment facilities offer discounts to students, seniors, kids or members of the military. You can plan a nice family getaway and save some money if you make sure to bring documents that prove the fact that you are eligible for discounts to movie theaters, national parks, restaurants and even theme parks. You can make a copy of those documents and keep them in your wallet to reduce some stress. Make sure you ask about discounts even at retailers. There is nothing better than spending quality time with your family. Kids can have a great time running around and playing games of their own while parents get a chance to chat about different topics. The only downside of organizing family reunions in your own place is the fact that you need to spend quite a lot of money. If you are on a budget and you plan to have a nice time with the other members of the family then you could suggest going into town. Ask everyone to contribute with a small amount of money so that you can go to Boston Escape Room and have a nice meal afterwards. When trying to cut entertainment expenses, you could try changing up services that you already use for cheaper options. For example, reading a book is a lot more relaxing and affordable than going to the movies. Even if you don’t have a lot of money to spend on entertainment, you can still have a lot of fun if you look for alternatives to activities that you enjoy doing. Finally, if you plan on going away, find other members of the family who like to go to the same destinations and reduce costs by sharing vacation expenses with the rest of the group. Entertainment can take a lot of shapes and forms. Nonetheless, no one says that you can’t have fun with less money. There used to be when part-time jobs were some of the best ways to bring in little extra money for the family. In large respects they still are, but there’s a shift happening in our professional cultures. More and more employers want those who show themselves to be excellent workers but can only manage part-time to go full-time for them. It only makes sense as when you spot good talent; you want to around more often. A few decades ago, a part-time job was mainly for mothers who wanted to earn a little on the side while their husbands were the ones who worked full-time. These part-time jobs were things like babysitting, fixing up tears in clothing that had rips and tears in them, early schooling and the basics of cooking and cleaning. Then slowly but surely part-time jobs evolved whereby men could also see them as viable options. These were jobs that were mainly working alongside those who were full-time. Over the years certain part-time occupations have changed to the point they can be done full-time. If you had a dad that could fix anything, he was the coolest guy on the block not just as a father but as a professional worker. The knowledge he had to fix a faulty light bulb, door and wall panels, car engines, leaking water pipes, and kitchen appliances without having to go out and buy them brand new, could have helped lots of low-income families. They were affectionately referred to as handymen because well, they were men and they came in handy in a sticky situation. Now however these skills and knowledge of the home have been passed down and learned by newer generations and thanks to the capitalist concepts of business aspiration and becoming your own boss, they can work full-time as professional handymen. Running their own businesses and hiring others just like themselves, handymen have evolved to being classed as laborers and skilled self-employed tradesmen. In tight-knit societies that lovingly relied on each other, the carer was a highly respected role for women. Usually, they would be senior women who were very knowledgeable in taking care of sick children and elderly people. With just a thermometer and a look at your symptoms, just by their eye, they could tell what the ailment was affecting a person. They weren’t trained doctors or nurses, but they displayed qualities of understanding viruses and diseases. Their treatments become known as home remedies which is a phrase we all use today as well as companies selling at-home medicines such as for the flu. This role in society has now progressed to being known as a master of science in family nursing. It can be taken as an msn online course that’s studied 100% online. You go through advanced pharmacology, advanced statistics, health assessments and theories of nursing. It's a whole-rounded course that is pretty much the advanced evolved version of what the carer role was. It's amazing how society’s needs transform over the years. From early respected and important roles within a local community to being recognized as part-time jobs and then into full-time occupations, handymen and family nurses are great inspirational stories. In the city of Calgary, Alberta and visiting with Jon and Erika last night, we decided to do pizza and wing night. Everyone loves pizza and wings right? 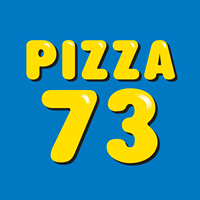 So I called up a pizza place near Erika and Jon's called Pizza 73. I was able to call to one of their many locations they service, and place our orders for supper. We each ordered a 12" meal deal that included a 2 topping pizza with 12 wings. The food was tasty that evening, we had leftovers and had a great visit! Pizza 73 cooks up 25 varieties of specialty pizzas, offer over 20 different toppings, four styles of crust (Traditional, Super Pan, Sesame Seed and Gluten Free), and seven types of sauce (Traditional, BBQ, Donair, Sriracha Honey Garlic, Pesto, Buffalo and Creamy Garlic) for you to create your own pizza, and prepare eight flavours of wings. They even whip up an assortment of fresh side dishes such as boneless wings, wedgies, dipping sauces and salads daily. It's a great night for pizza! It's only right that children get to be spontaneous and full of energy all the time. They’re young and have the world at their feet. Pretty soon they will be in your shoes or in a similar position where they have to fend for themselves and claw their own way through the world. When they are heading into their late teenage years, now is the perfect time to step in with good solid advice. They need direction and encouragement if they are to succeed in life. They’re at a critical moment in their life when they will choose what kind of path they want to take professionally. The overwhelming majority of children at this age, don’t have hide nor hare about what they want to do in life. You remember back when you were their age, and you wandered aimlessly around from job to job? This shouldn’t be the same for your children if you can help it. Teenagers are lively, and they want action, so here are some jobs you could recommend to them to suit their active personality. We sit inside homes that are made out of wood, and yet we forget that fact all the time. Society is always in great need of brave firefighters that attend to any emergency at any time. It's an exhilarating job that requires an attitude of pure dedication and courage. Teenagers have excess bravery at such a young age which they sometimes feel as if they need to prove. The training will be tough but comprehensive as all kinds of body types are allowed into the service. All that matters is that your mental capacity and the ability to think calmly under elevated levels of stress shine through during the selection phase. Anyone can workout and with a good clean diet, pack on lean muscle and be able to do all the physical drills with ease. What cannot be taught is the inner courage that is needed to fight out of control blazes that destroy properties and lives. If your child is lost and wants to direct their energy into something positive you can always introduce them to this line of work and see where it leads them. For those who are bookworms and love to scrutinize detail, a role in law enforcement could be their ideal suited occupation. Good police policy not only saves lives but money for the taxpayer too. Police work isn’t all just about busting some criminals in the middle of their activities, or saving a cat stuck up a tree; it's so much more complex. Although physical training is very important, the ability to investigate and judge the policies of police forces and indeed the judicial powers in which they operate is incredibly powerful. Policing courses that have modules like human intelligence exploration, which go deeper into criminal behavior and how society is culturally impacted by crime can be accessed online. The courses can be completed in 3-4 years and perhaps give students deeper teaching of theory than they might otherwise get somewhere else. As parents, we must never see children with high levels of energy as nuisances. In fact, their energy and yearning to prove themselves is a powerful asset to your community as the wider public if you can only just give them the right direction.